iOS 9.3 is plagued with a bunch of strange issues, with Apple getting most of the things right with a release of iOS 9.3 for older devices. 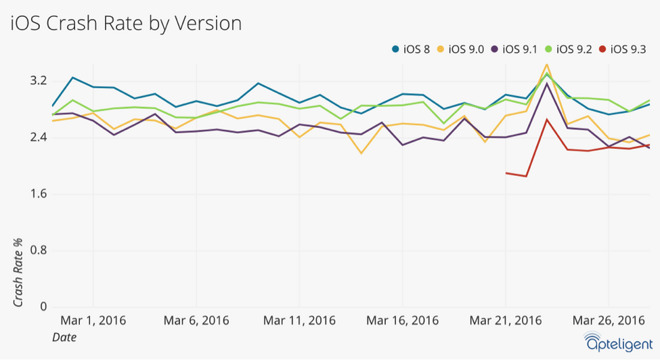 But despite all that, iOS 9.3 is deemed as the most stable release of iOS in years. That’s right, we found that hard to digest as well. An app analytics firm revealed that iOS 9.3 is the most stable release of iOS in years, having a crash rate of just 2.2 percent, according to data compiled in the last eight days. Compared to Android’s latest release, which has a crash rate of 2.6 percent, it’s hard to believe that Cupertino actually got a lot of things right with iOS 9.3 despite its apparent glitches and problems on a number of devices, especially older ones. Interestingly, previous releases of iOS, which included iOS 8, 9 and 9.2 have a crash rate much higher than that of iOS 9.3. Things get even more surprising when you realize that all of these versions of iOS, except iOS 9.3, saw a crash rate of 3.2 percent just last week, which is absolutely awful in terms of general usability on a mass scale. At this current point in time, iOS 9.3 has a fair share of issues lurking around, with the major one being how the mobile firmware handles Safari links being accessed throughout the system, causing the device to crash in a lot of instances. Although Apple has promised an incoming fix, in the form of iOS 9.3.1 hopefully, it’s still surprising that the company’s latest firmware has an extremely minute crash rate. It’s also safe to assume that Apple’s public beta program has also paid off in a lot of ways to squash bugs and whatnot. 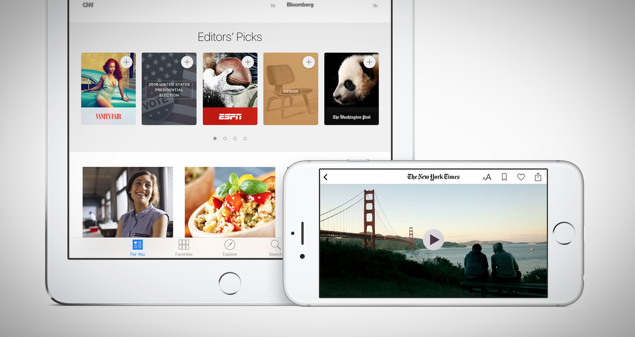 Ever since the release of iOS 9, Apple has always released a public beta of its software parallel to the developer oriented release, allowing general users to assess and test out Cupertino’s upcoming firmware versions, gathering as much data as possible regarding performance and apparent bugs that can hinder the overall user experience for people. It remains to be seen if iOS 10, due for announcement this June, will change the course in which Apple’s mobile firmware is headed. In terms of features, stability and whatnot, it will be interesting to see if Apple is going to play it safe or kick things up a notch with addition of excessive features.